As you know, I am an unrepentant only child. Siblings simply never occur to me. That is why blogs are such wonderful little creatures. I received a note from one of my favorite bloggers, The Down East Dilettante, who reminded me that Russell Lynes had a rather famous brother, the photographer, George Platt Lynes. I think it was this George Platt Lynes that made me think of the Alexander McQueen photo by Kin Ho, framed below the antlers. Being very bookish, I have two suggestion for delightfully interesting books about George Platt Lynes. Each of these books are bio's-à-trois. 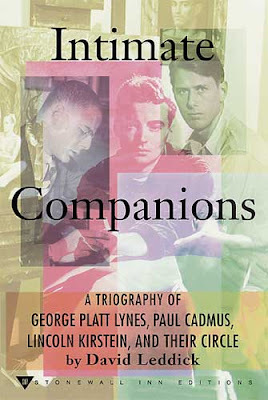 First there is Daved Leddick's Intimate Companions: A Triography of George Platt Lynes, Paul Cadmus, Lincoln Kirstein, and Their Circle. 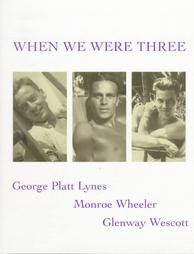 The other is When We Were Three: Travel Albums of George Platt Lynes, Monroe Wheeler and Glenway Wescot by Anatole Pohorilenko and James Crump. Thanks again to The Down East Dilettante for the watchful eye. No good deed goes unpunished. The indirect result of reading this post that resulted in my kindly intended note is that at the bottom was one of those 'you might also like' links to your September 29 '09 post about Ginger-pear upside down cake. It is sad but true that the Dilettante's boyish figure has gone away in recent years--precisely because of reading posts like that. Let's just say that there's a whole lotta bakin' goin' on at my house now...thanks...I think? 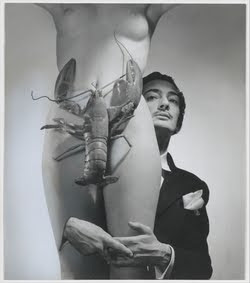 Dali always surprise me with his incredible compositions!